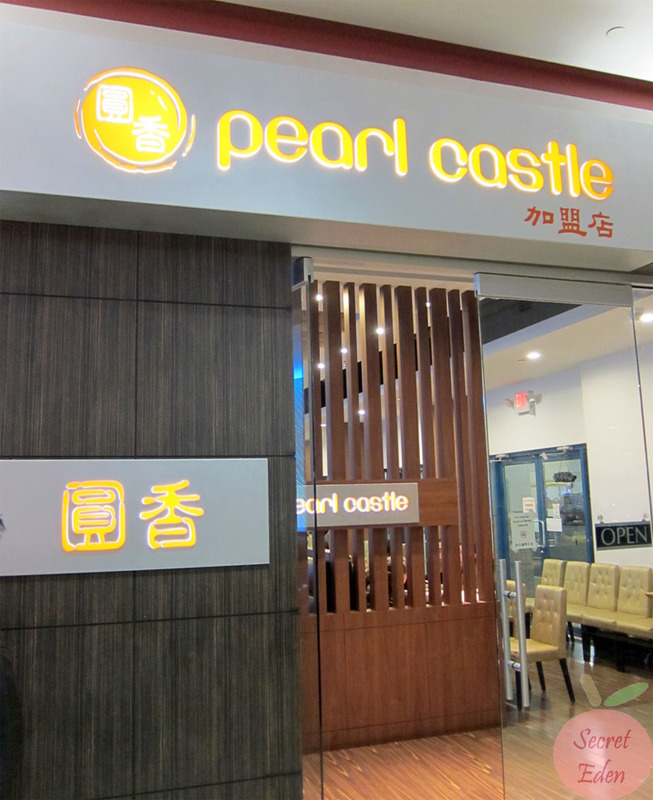 The restaurant was nice and modern, but much smaller in comparison to their old Coquitlam location. 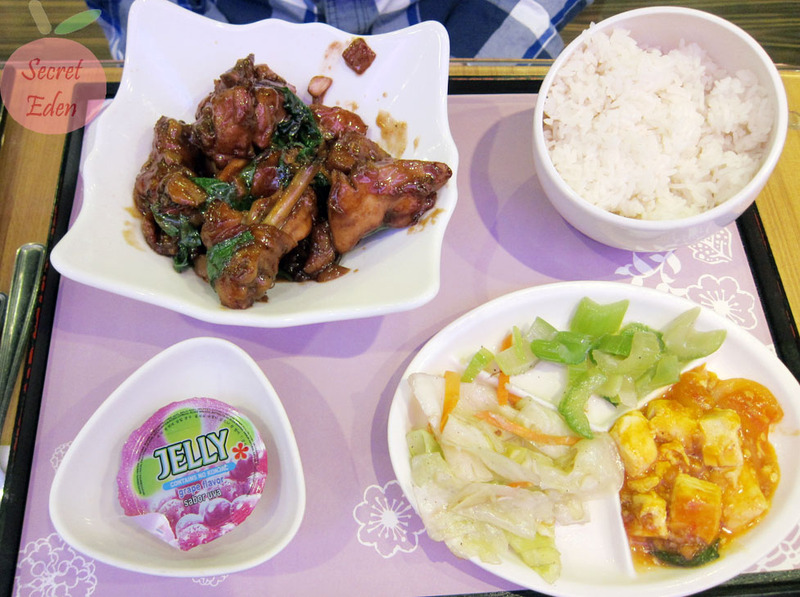 The 3 cup chicken ($8.25) R ordered was rather boney, and small in comparison with my entree. 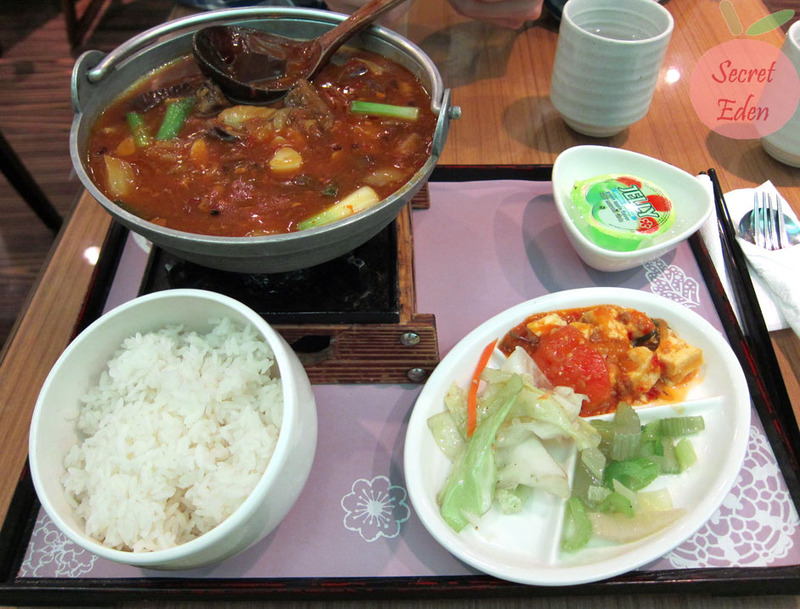 The taste was only 2 dimensional, with the soy sauce being the most prominent. It's missing that aromatic sesame oil flavor. Their side dishes were plenty and good, but their dessert has weaken to store bought jelly cups. 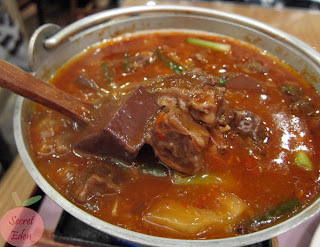 Of course, I ordered my favorite pig blood/beef brisket hot pot ($8.95). This seems to be the only restaurant that had this combination, as most only carry the traditional pig blood/pork intestine hot pot. This was just as good as I remembered, there were tons of soft beef briskets. The pork blood was not over cooked, so it still had that springy texture. The sauce mildly hot and packed full of flavor, so it was perfect over rice. If you adventurous, and not afraid of pork blood, I definitely recommend this dish. Service here was typical, all the waitress move at light speed because of how busy they are. Overall, I would recommend Pearl Castle, as they are very consistent in terms of food, and their prices are fair. Plus, this location is just so convenient for all those who love to shop.